← Food Addiction- Is It a Real Thing? Born in England in 1886, Dr. Edward Bach studied medicine at University College Hospital in London and went on to obtain a Diploma in Public Health at Cambridge University. After many years of working as a surgeon, casualty medical officer, bacteriologist and immunology researcher, he developed an interest in homeopathy and began to develop alternative therapies. His quiet dissatisfaction with orthodox medicine led to new herbal remedies that addressed illness as a disharmony between the mind and the body. Through great personal suffering and sacrifice, Dr. Bach completed his life’s work and unfortunately passed away at the age of 50 years. 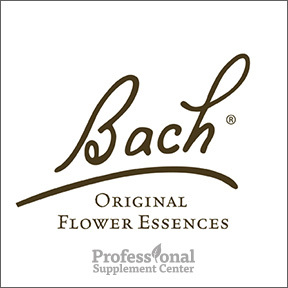 To this day, his world renowned Bach Flower Essences aid in the relief of emotional and physical distress to allow the body to unblock and access its own natural healing potential. His system of 38 Flower Remedies have been a trusted name for more than 80 years and are safe for both people and pets of all ages. Rescue® Remedy – Likely the most well known of all Bach Flower Essences, Rescue Remedy provides calm during a crisis, trauma or stressful situation. Rescue Remedy is designed to help deal with immediate problems and can be used anytime there is a need for a calming influence. Rescue® Remedy Pet – Add 2 drops of this alcohol-free essence to your pet’s water bowl to relieve anxiety, fear or trauma. This product provides appropriate relief when your pet has a fear of thunder, is showing signs of distress or has been through a traumatic situation. Safe, gentle, alcohol-free, veterinarian approved formula. Rescue® Remedy Sleep – For those occasional sleepless nights, this product provides natural and fast acting relief that calms a restless mind and reduces repetitive thoughts and stress-related insomnia. Awake refreshed after a night of restorative sleep with this non-habit forming remedy. Rescue® Remedy Kids – This alcohol-free formula made just for kids helps children deal with everyday stressors, anxious situations or big life changes such as the loss of a family pet. Safe, natural, non-drowsy formula. Rescue® Energy – Stimulant-free Rescue Energy improves the body’s ability to handle stress and strengthens the natural energy reserves. Key active ingredients give you a needed energy boost especially during times of mental or physical exhaustion. Rescue® Cream – This quick absorbing, intensive moisturizer helps to soothe and heal dry, irritated or damaged skin and is especially beneficial for external traumas, rashes, bruises, cuts, sprains and diaper rash. Rescue® Remedy Gel provides soothing relief for aches and pains and muscle soreness or stiffness. This entry was posted in Home and tagged Rescue® Cream, Rescue® Energy, Rescue® Remedy, Rescue® Remedy by Bach Flower, Rescue® Remedy Kids, Rescue® Remedy Pet, Rescue® Remedy Sleep. Bookmark the permalink.